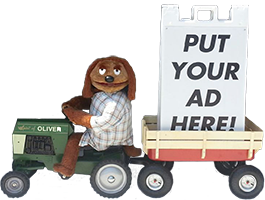 TA-DA Robots provides interactive, fuzzy animal characters that stroll the grounds and perform at fairs, festivals, trade shows, grand openings and corporate events. Beat the rush! Book Now! Hard surfaces such as packed soil, asphalt or cement are needed. During inclement weather, TA-DA Robots must perform indoors. During certain circumstances, an assistant provided by the customer is needed to walk with the robot for crowd control. Assistant must be at least 14 years old. County Fairs, Festivals, Corporate Events, Kids Parties, and more!